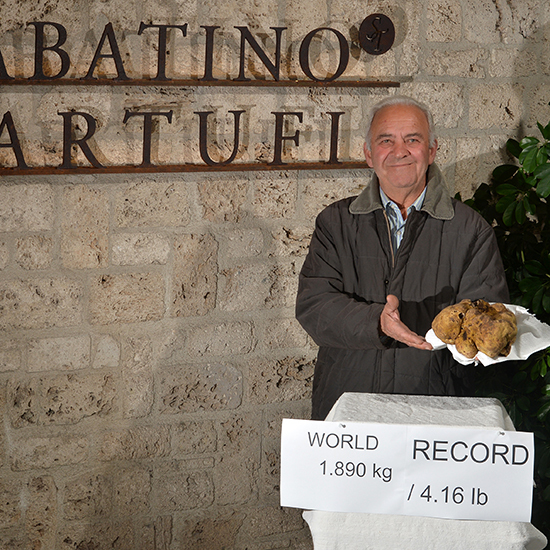 Weighing in at 4.16 pounds, the world's largest white truffle was recently discovered in Italy. Weighing in at 4.16 pounds, the world's largest white truffle was recently discovered in Italy. Even if you can't pony up the $1 million asking price, here are 5 terrific dishes to make with a smaller amount of white truffle. Upgrade traditional popcorn with white truffle oil. Thinly shaved white truffle adds terrific richness to this creamy pasta sauce. This easy vegetarian dish gets its assertive flavor from white truffle oil. Truffle shavings make this classic breakfast dish especially luxurious. Chef Marc Vetri's incredible pasta features white truffle puree.